In today's fast-paced business atmosphere, companies are growing at a lightning-fast speed. Almost overnight, startups are emerging into multinational concerns, inheriting all of the complexities that come with operations globally. The key aspect of the new economy companies is to ensure they have a monetization model which will help them to capture demand. These companies also focus on rapid adoption instead of stifling growth in search of a "lighthouse" client. In this current market set wherein the entry barriers are dropping rapidly as the innovation and market both are maturing it is also important to keep a low profile during the initial phase and let your clients spread your word. The most important aspect is to ensure that the Directors and the Leaders are committed to the growth of the business. It's important to ensure that both in their culture and there incentive structure they need to think about a path to IPO and beyond. This quick acceleration to business performance requires a technology platform that can lead a company through difficult growing patterns, one that gives new business the ability to respond quickly to opportunities without the distraction of having to maintain massive IT systems. A company with global aspirations at some point will ultimately need global ERP software that provides a real-time view of the business. To transact business effortlessly around the world, customers, vendors and partners will be enable to build a single data model with all the necessary tools. Though it may require an up gradation on and off, development is never that easy. 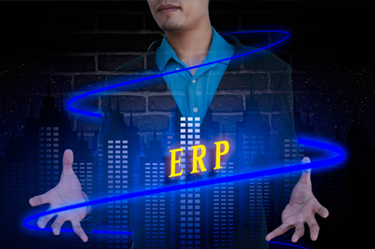 To its contrast a cloud-based ERP system brings flexibility and cost-predictability that conventional ERP designs can only hope to achieve. Because it's cloud-based, the software is automatically of the latest version, and because it's web-friendly, a new office setup is easy to regulate. To sustain the pace of growth, a quick and flexible ERP solution is the key. NetSuite, a no.1 unified Cloud ERP solution, seems like a right fit. From the initial distribution, NetSuite created the foundation required to grow and thrive in an age where pivot is the new norm. When you get NetSuite for your operations, you get access to all the NetSuite development tools and third party applications which you can easily customize and configure to suit your current and future needs via Suite Apps Platform. With smart built-in business intelligence and multi-channel commerce capabilities, NetSuite provides the insight to act concisely on the latest information and take advantage of every opportunity. Whether it's transitioning from on-premise ERP or entry-level applications, companies of all sizes, be it a startup or an IPO, they now rely on NetSuite to expand their operations and run aim-demanding business processes. More importantly, NetSuite is deemed to be the most powerful IT platform available today, and fast-growing companies do what they're supposed to do: keeping up with the fast thriving space. When you think of Cloud Computing, think Inspirria Cloudtech, we are a specialized Cloud Service Brokerage Company for more than 11 years and are the trusted partners for many renowned organizations. If you are a growing pre-IPO company and looking at a consulting company to provide a Cloud based technology platform then please do reach out to us. We have a team of highly qualified, experienced professionals who do Consulting, Strategy, Implementation and Execution of Cloud Technologies. Our team will be happy to share some reference-able case studies of new emerging economy companies who have utilized the combined power of NetSuite/Inspirria Cloudtech.